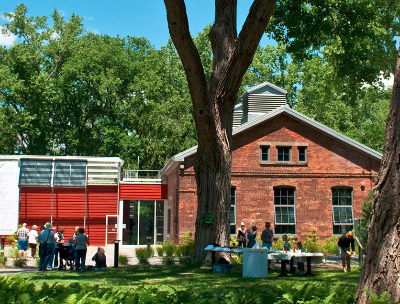 Beacon Institute's Center for Environmental Innovation and Education (CEIE) is located in Denning's Point State Park, in the heart of the City of Beacon's active Hudson River waterfront. Part of Hudson Highlands State Park, Denning's Point boasts accessible walking and biking paths and rich cultural and archaeological history. It is near Scenic Hudson's Long Dock property, the Dia:Beacon museum and the Metro-North train station. CEIE opened in December 2008 and is home to the Institute's educational programs and events, policy initiatives and technology workshops. CEIE is also a public visitor's center for Denning's Point State Park, and is located near the entrance to the Denning's Point State Park's public walking trail. A model of green design by Gensler Architects, CEIE was awarded LEED® Gold certification in 2013. It is an adaptive restoration of an abandoned late 19th century industrial building that manifests the Institute's commitment to energy-efficient systems, sustainability and green building technology. See green design features. Both the adaptive reuse of the handsome older brick portion, and the new attached annex were handled with great sensitivity. The annex is designed with a contemporary lightness, with large glass areas for viewing the surrounding river and forest vistas. The contrast between the two building elements emphasizes and illuminates the beauty of each. The design is respectful: it honors the building's industrial past, while emphasizing the Institute's contemporary mission. Equipped with professional conference capabilities, CEIE’s flexible spaces can be reconfigured for multiple uses, including seminars, workshops, exhibits, public forums and cultural and social events. Informative and engaging trail walks around Denning's Point led by regional experts. Educational, community and other events are held at CEIE annually. Many events at CEIE require advance registration. Events held at CEIE involve a 10 minute walk into the park from the parking area or the Metro-North train station. Please wear comfortable footwear and be sure to allow additional time to enjoy the walk. Denning's Point in Beacon was home to the dwellings of pre-historic American Indians six thousand years ago. Henry Hudson's crew sailed to it in 1609, and George Washington also landed there in the Revolutionary War. It is believed that Alexander Hamilton penned letters from Denning's Point that formed the basis for his influential Federalist papers. 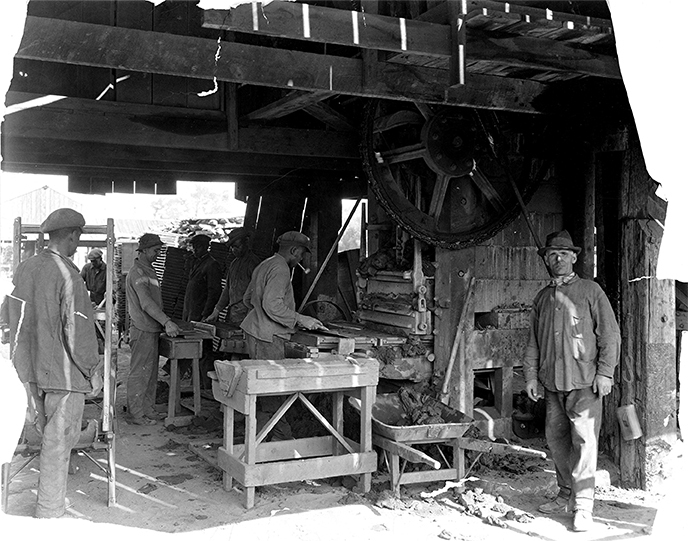 From 1881 - 1939, Denning's Point was home to the Denning's Point Brick Works, a factory which produced as many as a million bricks a week to help build New York City and elsewhere. The 4,000 square foot brick portion of CEIE had originally been part of the brick works, and the 'DPBW' logo can be found on the brick path surrounding the building. In 1988, New York State acquired Denning's Point to expand the Hudson Highlands State Park system. Hudson Highlands State Park is a series of separate parcels of land totaling nearly 6,000 acres, that stretches north from Annsville Creek in Peekskill to Denning's Point in Beacon. The combined beauty of the Hudson Highlands and the Hudson River provides a spectacular backdrop that serves as a continuous source for creativity and recreation. The park's extensive hiking trail network includes terrain that varies from easy to challenging. Trail maps can be obtained at the Clarence Fahnestock Memorial State Park office. The park's most well known trail — Breakneck Ridge — was rated by Newsweek as one of the top 10 day hikes in America. The 5.5 mile Breakneck Ridge trail rises 1,250 feet in only a 3/4 mile stretch. Please note that camping and use of fire are prohibited throughout the park.